An intriguing super middleweight fight tops the 112th edition of Brian Halquist Productions’ long running ‘Battle at the Boat’ series at the Emerald Queen Casino in Tacoma, Washington on September 9th. Popular local prospect Mike “Imagine Me” Gavronski (23-2-1, 14 KOs) will take on one of his most accomplished opponents to date as he squares off with battle-tested former WBO-NABO middleweight champion Brian Vera (26-11, 16 KOs) in a ten round match-up. Gavronski is currently riding a three-fight win streak, notching victories over formerly unbeaten Australian prospect Jake Carr (TKO 6), tough Ghanaian Thomas Awimbono (UD 10), and in his most recent fight, taking a ten round unanimous decision victory over the cagey Quinton Rankin last June. In his twenty-six fight pro career, Gavronski’s only losses have come in regional title fights; one against current top middleweight contender Tureano Johnson (L UD 10) in a 2014 bid for the WBC Continental Americas middleweight belt; and a year later against Dashon Johnson (L TKO 8) for the WBA-NABA US 168-pound strap. He is currently ranked #5 by the NABA, and #4 by the NABF. Vera, a long-time fringe contender, has faced some of the best fighters in and around the middleweight divisions. In 2008, he handed Andy Lee his first loss via seventh round TKO. Lee would go on to claim the WBO middleweight championship. He also holds wins over former WBC Jr. middleweight title holder Sergio Mora, whom he defeated twice by decision in 2011 and 2012, and one-time WBO 154 lbs. champ Serhiy Dzinziruk, stopping him in the tenth round of their 2013 fight to claim the WBO-NABO strap. Vera, of Austin, Texas, had been on a five-fight losing run beginning in 2013 with back to back decision losses to former WBC 160 lbs. belt holder Julio Cesar Chavez, Jr. and continuing with defeats to Willie Monroe, Jr. (L UD10), Rocky Fielding (L TKO2), and Matt Korobov (L UD 8). He’ll come into this fight with some momentum, though, having racked up three consecutive wins in the last ten months. Vera last fought in June, stopping Milton Nunez in the fifth round for the vacant Texas State light heavyweight title. Gavronski and Vera will meet in the ten round main event of what is expected to be an exciting Pacific Northwest card. Also featured on the show will be an interesting welterweight fight between two promising, young regional fighters as Yakima, Washington’s Andres Reyes (7-2-1, 2 KOs) squares off with flashy Tacoma boxer Andre Keys (3-1, 1 KO) in a five round bout. Reyes is on a two-fight knockout streak with his most recent win taking place two months ago when he stopped Will Hughes in the first round. 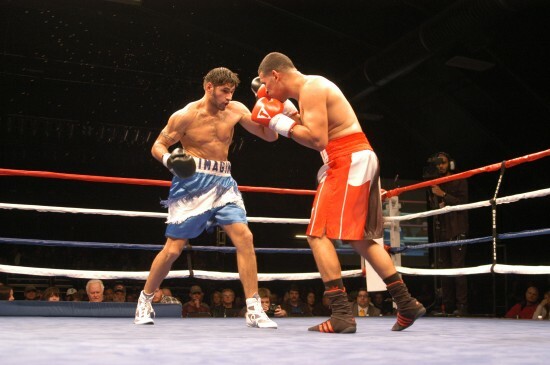 Keys last fought in November, defeating the tough Nate Serrano by unanimous decision. In other fights, Arlington, Washington’s Ricardo Maldonado (7-6-1, 1 KO) will battle Marcos Cardenas (6-6-1, 2 KOs), of Salem, Oregon, in a five round 140 lbs. fight that promises to deliver fireworks; Kent, Washington’s Shae Green (1-0) faces Niko McFarland (0-4) for the second time in a four round Jr. welterweight showdown; Idaho’s Tommy Turner (4-7, 3 KOs) takes on Cole Milani (2-5, 2 KOs) at light heavyweight; and in a lightweight match-up between two fighters making their pro debuts, Bryan Sanchez takes on Jorge Linares. Tickets to ‘Battle at the Boat 112’ can be purchased at the EQC box office and all Ticketmaster locations. For more information visit www.halquistproductions.com.